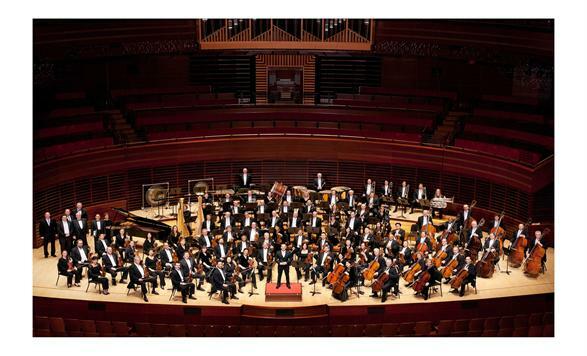 For more than 100 years, the Philadelphia Orchestra has been one of the most acclaimed orchestras in the world, performing across the country and all over the globe. Under the innovative leadership of award-winning Music Director Yannick Nezet-Seguin, The New York Times states that the ensemble, famous for its glowing strings and homogenous richness, has never sounded better. Recently gaining media attention for an impromptu performance by a quartet of the orchestraÆs musicians on an airplane, the Philadelphia Orchestra is one of the most unique orchestras in the world. Music Director Yannick Nezet-Seguin Yannick Nezet-Seguin, praised as an exemplary musical leader and one of the most exciting talents of his generation, enters his second season as Music Director of the Philadelphia Orchestra. In addition to being Music Director of the Philadelphia Orchestra, Yannick also holds the titles of principal conductor of the Rotterdam Philharmonic, principal guest conductor of the London Philharmonic, and artistic director/principal conductor of MontrealÆs Orchestre Metropolitain. As a result of YannickÆs musicianship, enthusiasm, and charisma, he has been awarded a Companion of the Order of Canada, a Royal Philharmonic Society Award; an Echo Award; the Virginia Parker Prize from the Canada Council; CanadaÆs National Arts Centre Award; the Prix Denise-Pelletier; and an honorary doctorate by the University of Quebec in Montreal. Such accomplishments have solidified YannickÆs reputation as one of the most sought-after conductors in the world.